Design Thinking in Education (DTiE), EDL 571, is a course taught through the Laboratory on Design Thinking in Education at the University of Kentucky. A textbook for the course is Kerri Smith’s Wreck This Journal. 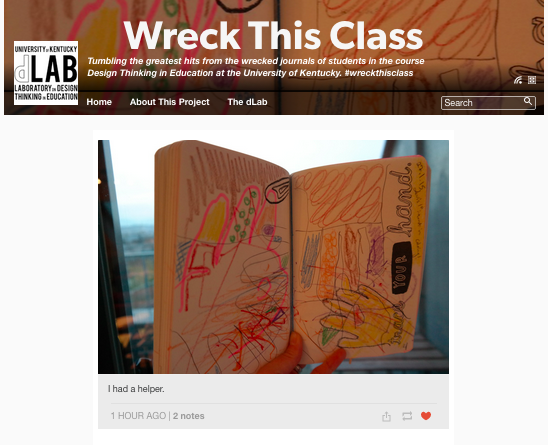 Students in DTiE work complete entries in Wreck This Journal and post their favorite entry each week on this Tumblr.